Robin Hood begins by suggesting we forget everything we assume to know about the legendary figure, only to then rehash and re-frame all of the junk we just dumped from our memories. In that sense this modern film update of the classic tale happens to be a creative thief in its own right, selling back to us the same stuff we previously scrapped, now with a slightly altered packaging. 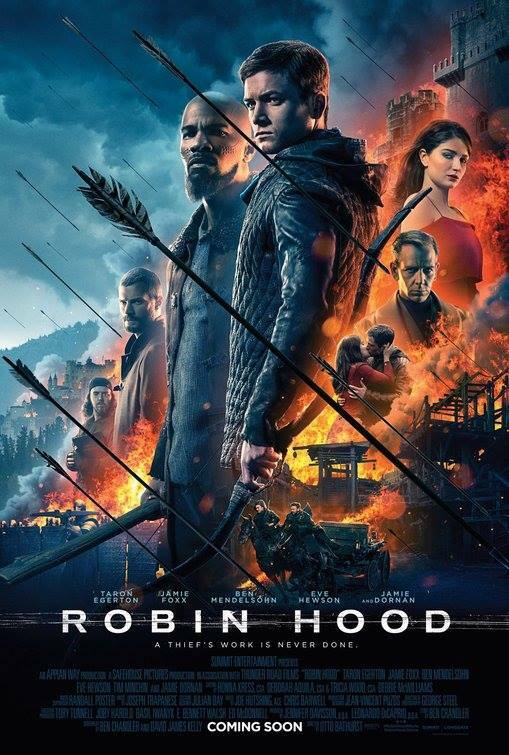 This version of Robin Hood understands the essence of its eponymous character, except it doesn’t know how to balance classic tropes with contemporary themes, shooting its shot and missing more often than not. 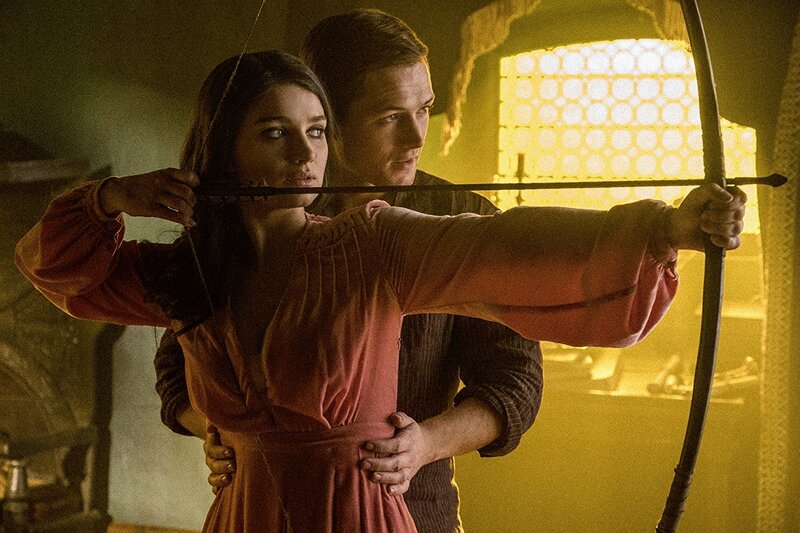 Nobleman Robin of Loxley (Taron Egerton), lord of Nottingham, spends most days in his inherited estate with Marian (Eve Hewson), the love of his life. It’s idyllic, at least until he’s shipped off the fight in the Crusades, battling Muslims for sovereignty over holy grounds. Fives years fly by – quite literally, as the story skips past the passage of time – and Robin returns to a home that’s no longer welcoming. He’s been declared dead, his estate ransacked and seized, and Marian has moved on to the politically motivated commoner Will Scarlet (Jamie Dornan). 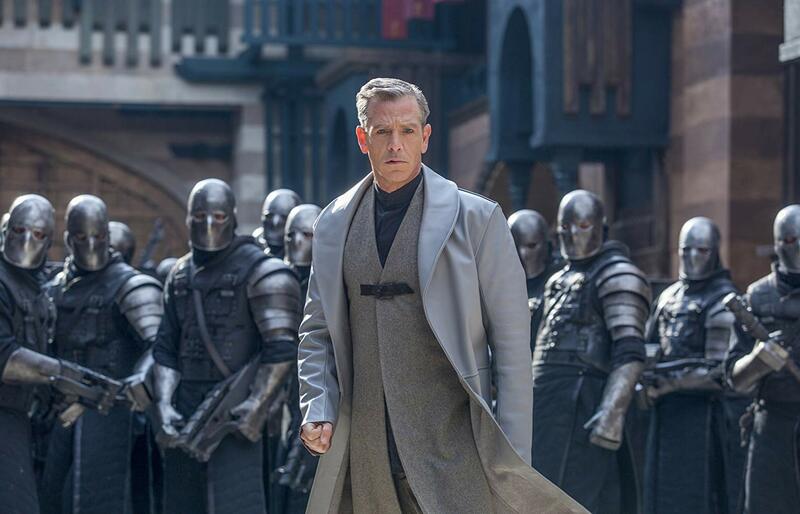 The man behind Robin’s undoing and Nottingham’s suffering is the Sheriff (Ben Mendelsohn), an equivocator corrupted by the greed of politics and the money of religion. Most of the pieces in Robin Hood are fairly straightforward, sticking to the basic script of the story. It’s classically told with a tone that tries too hard to be cool, dark, and above all else exciting. Some of these moments are so cringe-worthy that they actually achieve the desired tone though, like Robin’s Rocky IV inspired training sequences with John (Jamie Foxx), an Arab who helps “the hood” unmask the racketeering of those in positions of power. As for the rest of the movie? Let’s just say it’s like if Baz Luhrmann directed an alternate version of The Dark Knight that had been written by Max Landis. The results are occasionally visually arresting and always intellectually incompetent. Some of director Otto Bathurst’s action sequences can come across as rousing and the performances are more than adequate from the uniformly strong cast. 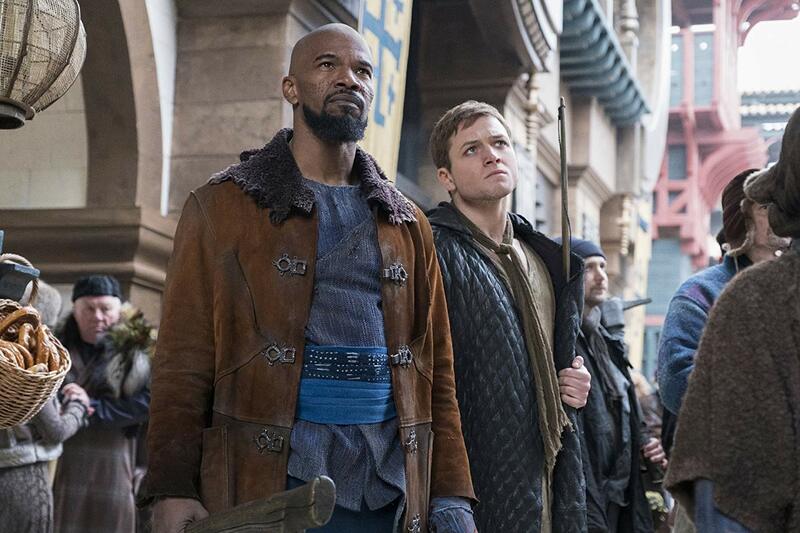 On paper though, Robin Hood is underscored by a lousy script that’s seriously lacking for character development of any kind, only further muddying the waters by clouding the events with political chauvinism and morally compromised leaders of faith. And when you consider the fact that Robin Hood has the audacity to even suggest the possibility of a sequel, you begin to come to terms with the fact that you’re watching a cardinal sin take place before your very eyes.